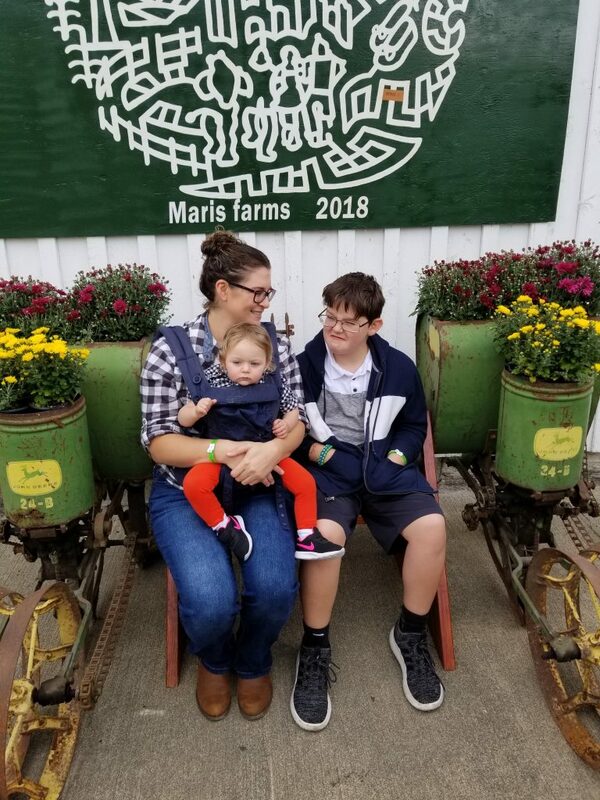 Maris Maze LLC dba Maris Farms Review by Tabitha Black | Visit Maris Farms in Buckley for all your fall fun! Washington in the fall is such a beautiful time, it's my favorite season here! We've got fall foliage, crisp air, fall fashion, and PUMPKIN PATCHES!! Pumpkin Patches are such a fun family outing and tradition, it's top of our fall bucket list every year. We've been to a couple in our area, Maris Farms in Buckley being our favorite! 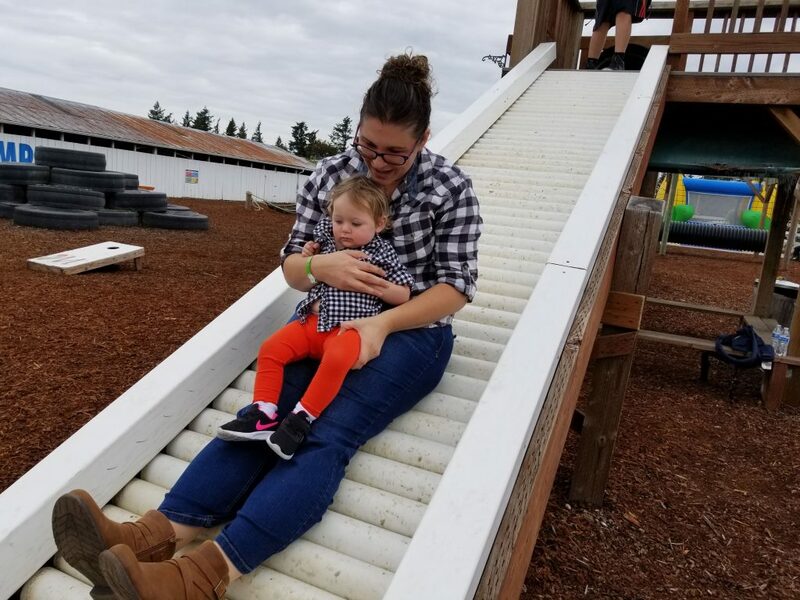 Maris Farms started as a giant pumpkin patch has now turned into a full-fledged agritainment; you'll find activities for all ages and skill level, located right here in the Puget Sound. With over 30 attractions, I'd suggest planning on staying at least half a day at the farm. They are open daily, during the weekends they do have a few extra attractions open, but if you are looking for less crowds, I suggest going on a weekday or the first two weekends of the season. We went this past Sunday and we had no lines what so ever!! 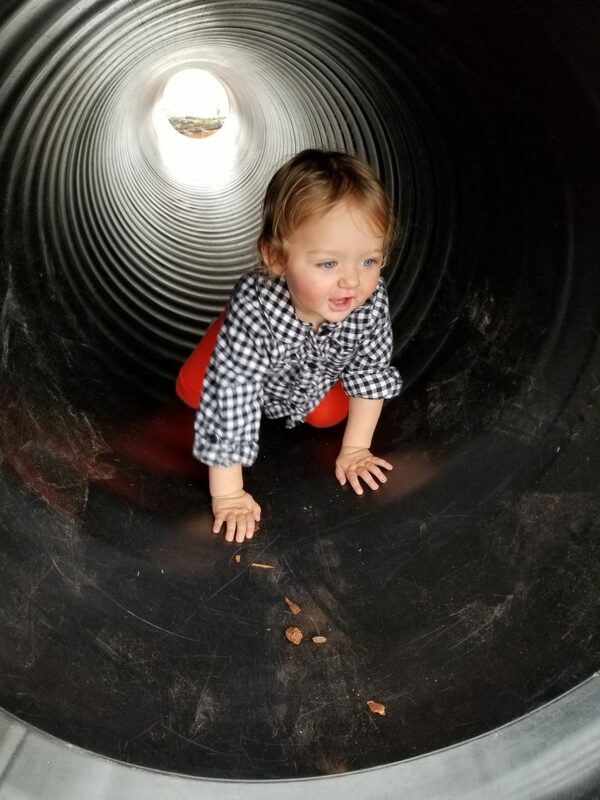 We all had such an amazing time; Piper loved seeing all the animals in the barn, we loved cheering on the duck race(missed the pig race), Mason really enjoyed the catch & release trout fishing and us parents got in on all the action. We were pleasantly surprised by the amount of food vendors and picnic table options - including covered tables. They have pulled pork sandwiches, hand dipped corndogs, lemonade shakers, kettle corn, mini doughnuts and so much more. You're welcome to bring in your own food as well, we saw a group even bring in a cake. You may bring in your dogs that are well-socialized, friendly, and on a leash during your daytime visit. Must register upon entry at our information booth and bring waste bags. They have a great "playground" that both my kids loved, everything was made from stuff you'd find in a farm. Also find a pedal cart track that has adult size carts, jump pillow, ball zone area(which seemed to be a huge hit), a mechanical bull, and a zombie paintball gallery. 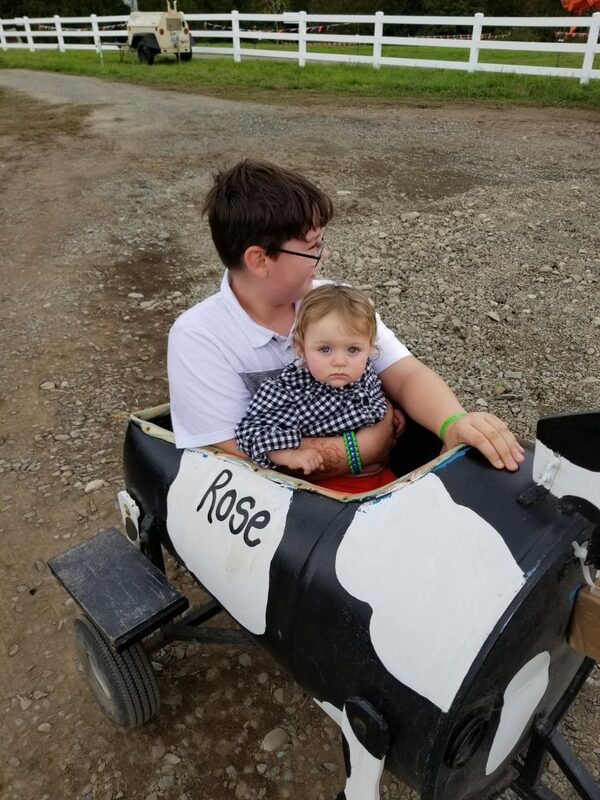 Mason was a good sport for taking his sister on the cow train and she loved it. Such a fun ride! Don't forget to check out the live honeybees, the Speleocave(under 5'10" and 180 lbs) - I don't suggest this if you have a fear of tight spaces, Hot Seat Escape room, glass pumpkins, free face painting, princess story time, and monster truck ride. 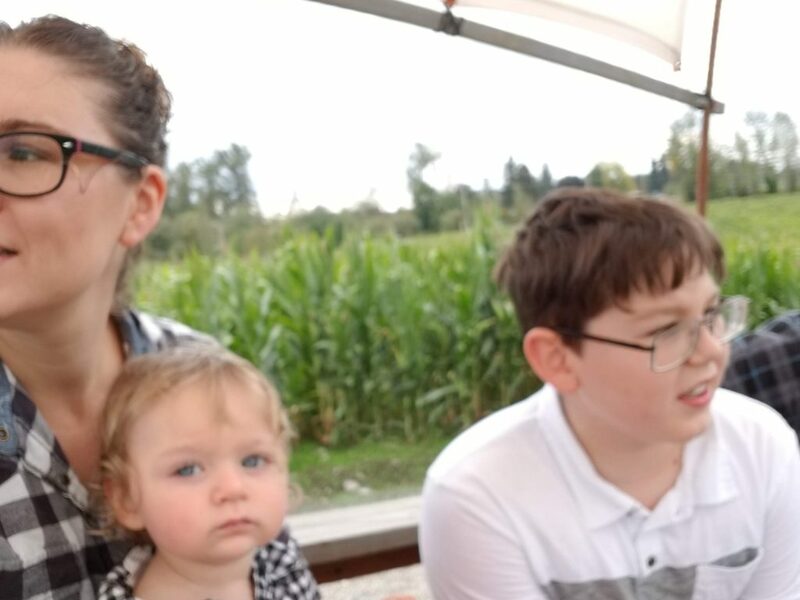 The hayride at Maris Farms was the most comfortable I've ever been on, no sitting on hay stacks and had sturdy steps, which made it easy to go up and down with a baby attached. 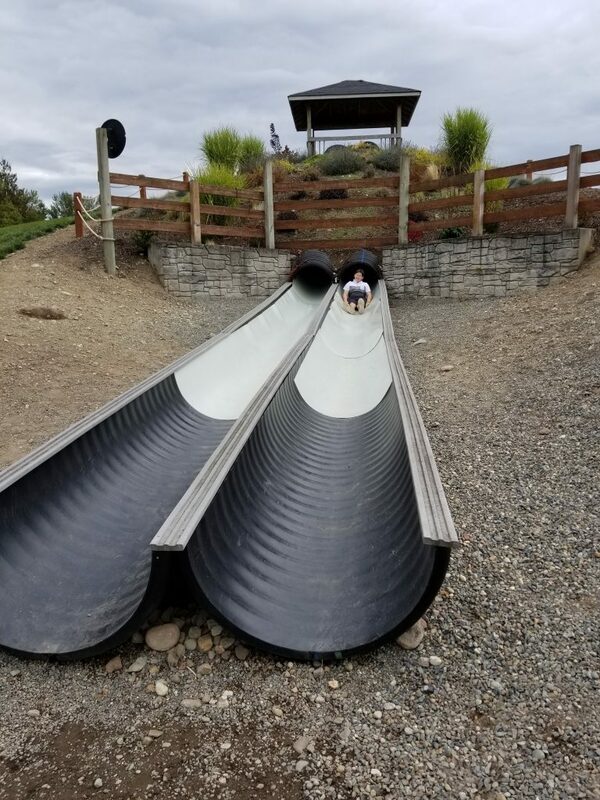 The lower section of the farm is easily accesible, one side is the corn maze and the other side has rat rollers, human foosball, zipline, mineshaft slide, apple cannons, digger dell and the pumpkin patch. This was another popular section for my family, had so much fun things to do. On select nights they have Flashlight Maze Adventures, which they open the maze to night owls. Don't forget about the ever popular Haunted Woods, that is a 35 minute creepy quest at the farm. Be sure to check out the schedule on their website, because some attractions are only available during the weekends. 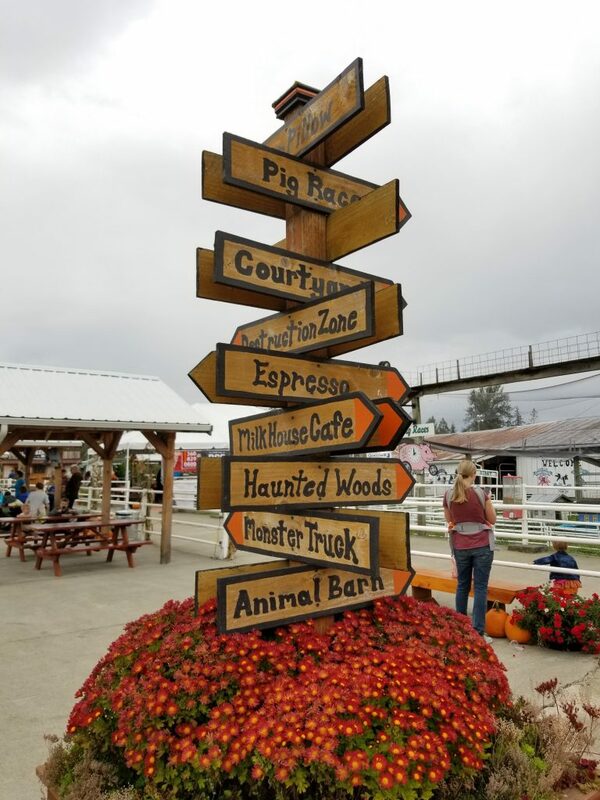 Most all the attractions are provided with the admission price; except for the paintball gallery, apple blasters, glass pumpkins, monster truck ride, haunted woods, flashlight maze and "boo" ride. They have a couple ATM's around the property, as well as porta potties and a fantastic area to wash your boots and pumpkins. I really appreciated how laid back the farm and employees were, that we didn't have limits on how many times we could come back and do something. The farm we usually visit you get 1 ticket to ride each attraction and that's all you'd get, at Maris Farms as long as you stood in line you could continue to ride. That was a huge plus in my book! 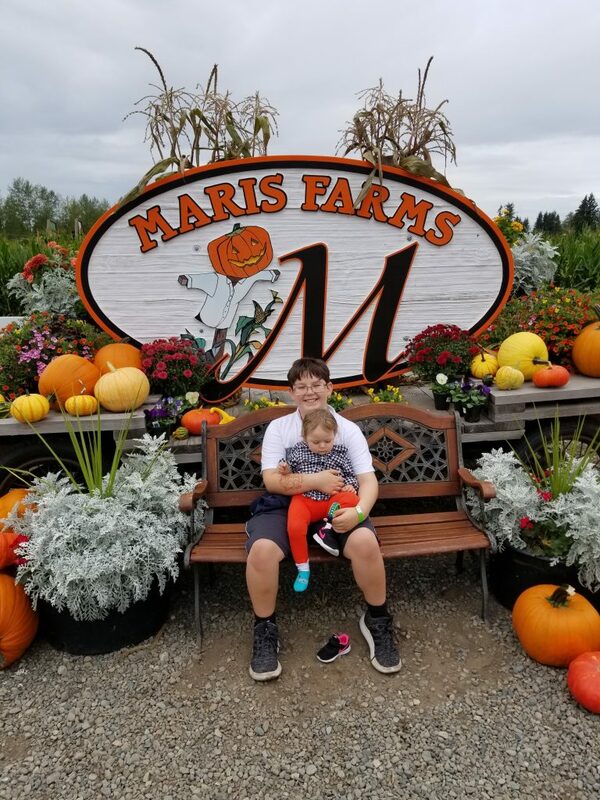 Maris Farms has all your fall fun! Disclaimer: we received tickets to visit Maris Farms, however all opinions expressed here are my own.